HMS Surprise - Model Ship Repair and Restoration. 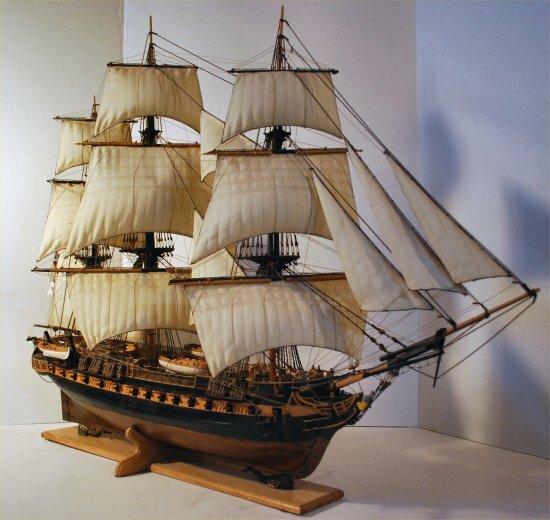 This HMS Surprise model had her topgallant-mast snapped and her foreward bulwarks had been broken. She had to be partially re-rigged. Other damage such as a missing gunport-lid and a broken boat davit were repaired. One of the decorative "whales" in the stand had also come off and was secured to the wooden base.